It is with mixed emotions that The Cord Community Edition announces the planned departure of our Editor-in-Chief, H.G. Watson.Â H.G. will be leaving her post as EIC effective May 31st to take a position as news reporter with The Daily Xtra in Toronto. We certainly wish her the best in her future endeavors and know she will be missed by her colleagues at WLU Student Publications and the avid readers and audience of the Cord Community Edition, which she has headed since its first issue in October 2012. H.G. will continue on as the artistic curator of Steel Rail Sessions 2014. During her time with the CCE H.G. has grown the paper and its audience. She is responsible for the popular 10 Ideas to Change Waterloo Region and Best of editions of the paper. In slightly less than two years H.G. has lead our publications to tremendous growth and success growing the audience and contributors and successfully leading a public donation campaign in 2013 to raise twelve thousand dollars and keep the publication running. It is with a heavy heart that we see her leave but we owe her a great debt of gratitude for the hard work and dedication she has put into the publication and the Kitchener â€“ Waterloo community. We are excited to see what she will do next in Toronto. To smooth the transition of H.G.â€™s departure WLU Student Publications, the parent company of the CCE, is appointing Allison Leonard as the interim Editor-in-Chief. Allison most recently completed a term as WLU Student Publicationâ€™s President and Publisher and has contributed in the past to the publication. Allison studied Journalism at Laurierâ€™s Brantford campus and will be starting her mastersâ€™ degree in Cultural Analysis and Social Theory at Laurierâ€™s Waterloo campus in the fall. We are excited to see what Allison can do with the publication over the summer months and are confident she will maintain the high standards set by H.G. that our readers expect. 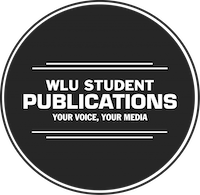 WLU Student Publications will announce its plan to permanently fill the Editor-in-Chief role before the end of August 2014.